Satechi recently released X-Presenter Smart, an improved Bluetooth wireless presenter with laser pointer. 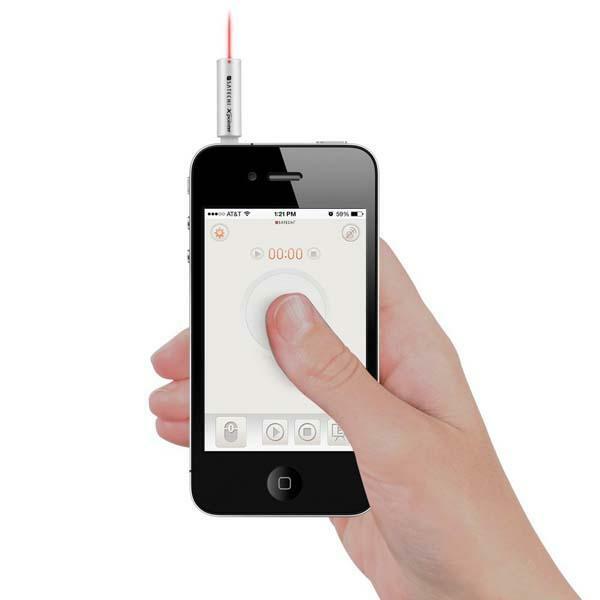 If you need a mobile presenter to show your great project, let’s go on checking. The X-Presenter Smart is a versatile Bluetooth-enabled wireless presenter that measures 0.3 x 1.6 inches and weights 0.2 oz. As we can see from the images, the wireless presenter features sleek and ultra compact design expressed by its silver casing. 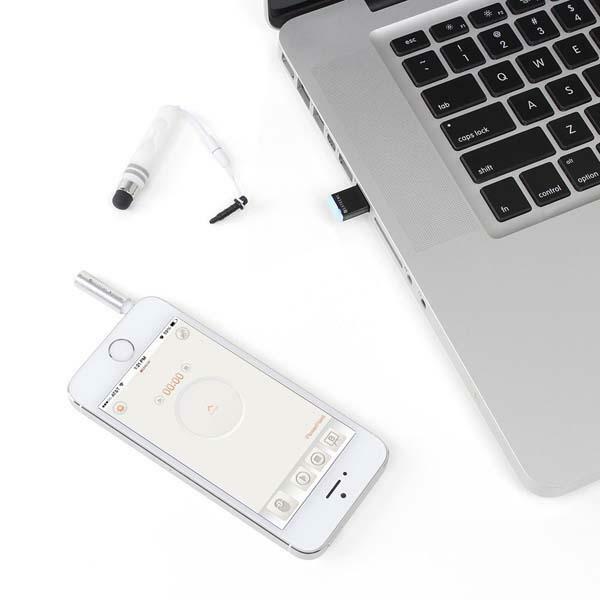 Just plugging X-Presenter in the 3.5mm audio input on your smartphone and pairing it with its application you can remotely control your presentations on PowerPoint or Keynote, while its red laser pointer helps your audience focus on the key points of your presentation. Moreover, the wireless presenter comes with a dongle that allows you to control anything on your computer’s keyboard or mouse directly from your smartphone. Apart from that, the wireless presenter works with iPhone 5/5s/5c/4S, iPad mini, iPad 3 and Galaxy S4/S3/Note 2, and ships with a stylus. The X-Presenter Smart Bluetooth wireless presenter with laser pointer is priced at $29.99 USD. If you’re interested, jump to Satechi official site (unavailable) for more details. BTW, don’t miss the aluminum wireless presenter and other related gadgets by following tags.